Soft Kill have matured into a melodic powerhouse, effortlessly showcased on their latest release, Savior. The album caught our attention earlier this year, and has been in heavy rotation ever since. Simultaneously flying under the radar and connecting deeply with their audience, we’re thrilled to welcome Soft Kill to Roadburn. The album is a deeply personal missive with the harsh realities of life and death laid bare, peppered with pop perfection and swirling gloom. Soft Kill exist in a celebratory void; triumph and tragedy become easy bed-fellows. Drawing on diverse influences that traverse not only the globe, but decades of music consumption, Soft Kill sprawl across genres. Post-punk, Brit-pop, lo-fi chaos; elements of each can be found in Soft Kill’s sound. Whether sitting, shimmering on the surface, or buried under gently roiling layers, the four-piece’s sound is hard to pin down. Live, they are electric – a delicately balanced smorgasbord of competing component parts, underpinned by attitude in spades. 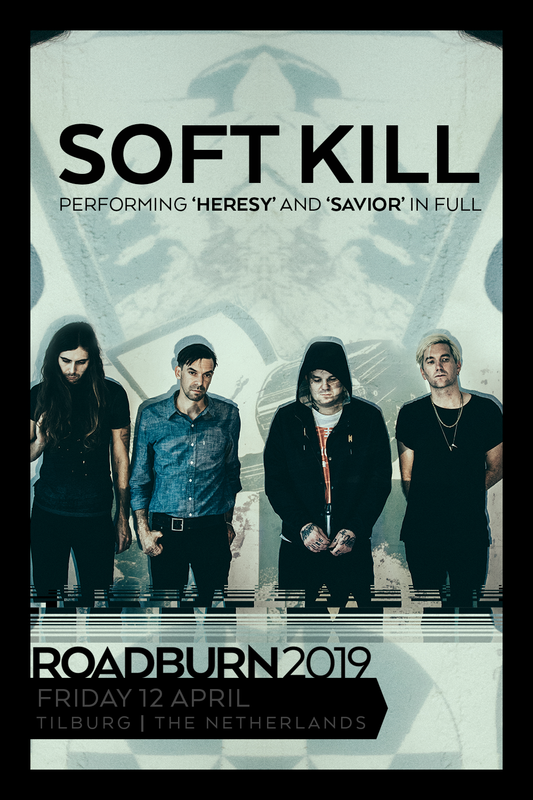 To make their Roadburn show even more special, they will be performing both the Heresy and Savior albums in full. With the promise of yet more new material on the horizon, Soft Kill are picking up pace with no signs of slowing down. Our advice? Hop on board whilst you still can.